A new Blu Products has just passed through FCC as the the unlock device named Energy X LTE will be soon launching in United States. 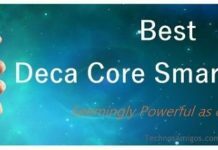 Launched in the Energy series, it will be an ideal smartphone with longer battery life. 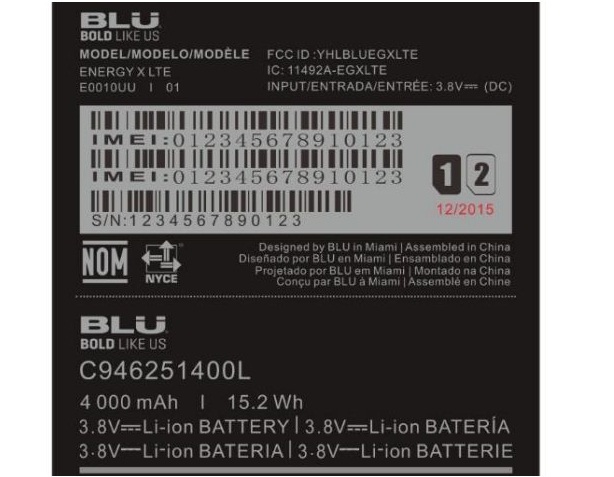 According to FCC, the Blu Energy X LTE is with 5 inch HD display and powered with Quad core processor with Mediatek chipset coupled with 1 Gigs of RAM. From the camera module we have 8 mega pixel rear camera with LED flash and 2 mega pixel front facing camera and it will run on Android 5.1 Lollipop out of box. As the name itself indicate, the Blu Energy X LTE will be supporting 4G LTE in USA and it will be launched as unlocked smartphone compatible with all the major carriers in the country. Blu Energy X LTE price is not known yet but you can pickup any other Blu phone all within your budget from Amazon.com.